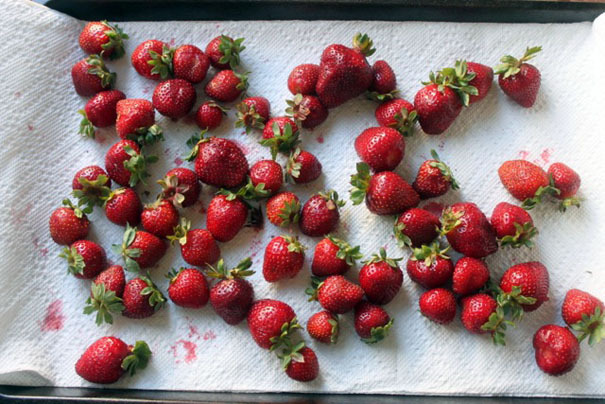 Strawberry season may be over in most parts of the country, but here in L.A. the strawberries are still bright red and fragrant and sweet as could be. On Monday, last week, I brought home two cartons of strawberries from the farmer’s market that I planned to use for a shortcake the next night. The question was: “How do I store them so they don’t lose their fresh-from-the-market flavor?” The answer came via Twitter from my friend, the celebrated pastry chef Shuna Lydon. 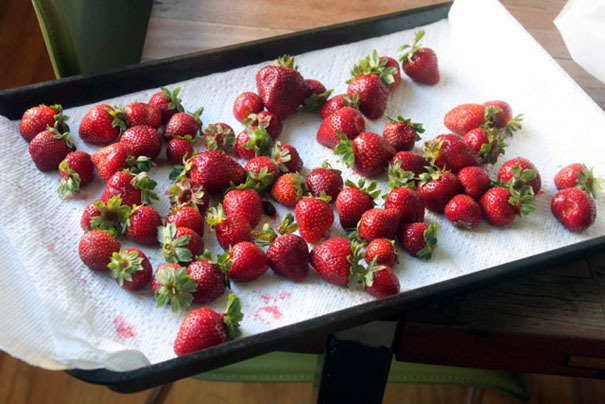 The next afternoon, a few hours before assembling my shortcake, I took them out. As they came to temperature, I tasted one and, to my astonishment, they tasted almost as good as they did when I bought them. 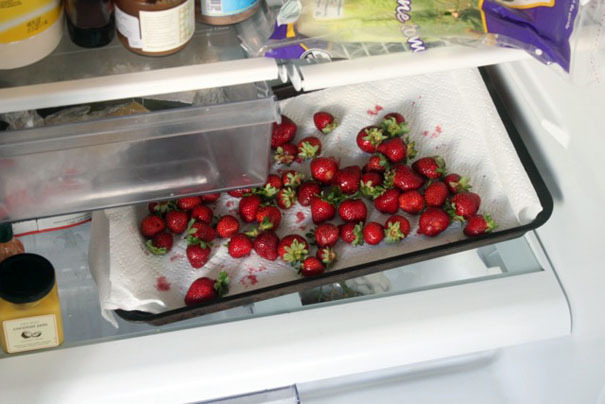 Usually refrigerated strawberries have a certain dullness that makes buying them from a farmer’s market totally redundant, but these refrigerated strawberries held their own. And they looked really pretty on top of my shortcake which I’ll show you in the next post. 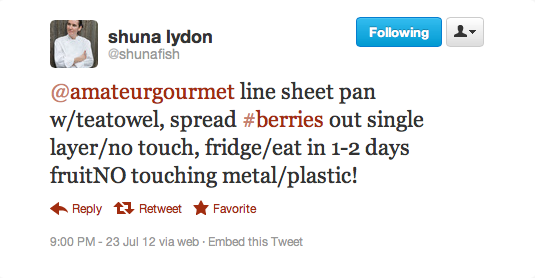 So thanks, Shuna, for teaching me how to store strawberries. That’ll be my go-to method from now on!